The landscape of retail is changing if anyone was still in doubt. Consumer purchasing trends are increasingly online. Although, as CBRE advise, retail stores are still a strong part of the mix and remain very important in the customer experience. Some blue chip retailers of 10 years ago are finding it tough out there. Some have decided to close the shutters, but still pay rent. Why on earth would they do that? In hope more than anything else that the landlord will cut a deal with them allowing a surrender or assignment of the lease because the landlord will not tolerate a vacant unit for a long period in a prime retail centre. Standard commercial leases mandate tenants to keep their unit open in line with other units in the centre and during certain hours of the day. Pulling the shutters down obviously breaches those covenants. Landlords could of course attempt to restrain the breach by applying to the High Court for an injunction however the Courts are reluctant to force a company to trade in insolvent or unprofitable circumstances. Presumably otherwise the Courts would support a landlord's injunction application. So what to do? If the rent keeps coming in then the refusal to keep open will result in a stand off. After that the choice becomes one of litigation or negotiation. Dublin has emerged as one of the fastest-growing prime retail locations in the world according to CBRE's latest half-yearly research report, 'Global Prime Retail Rents'. The Irish capital secures fifth place on the list, after recording an 10.5pc year-on-year increase in rents for prime retail in the first quarter of 2017. 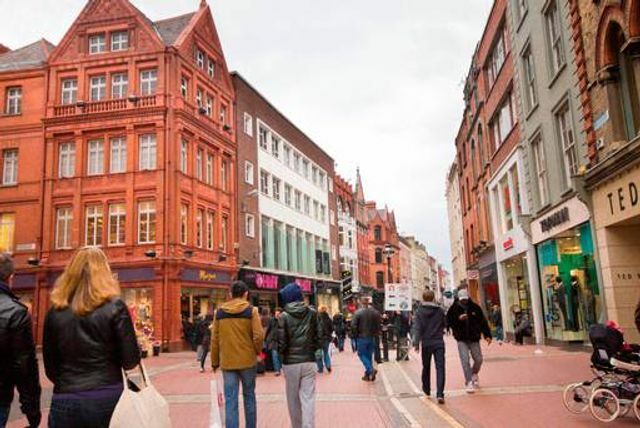 Referring to Ireland's retail sector more generally, CBRE says it "remains robust, buoyed in particular by continued job creation, strong tourist activity and demographic changes". Noting that retail sales increased by 5pc in 2016, the authors add that there is "cautious optimism" surrounding the sector, with continued demand for stores in prime locations expected this year.